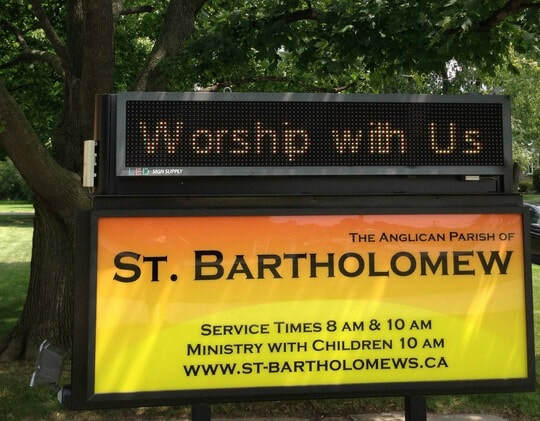 Welcome to the Church of Saint Bartholomew! We hope that your worship experience with us is both an opportunity for you to feel closer to God and a chance to connect (or reconnect) with a caring community. The Church can be a place for people who are searching, questioning, and discovering and we are committed to ensuring that this parish is a place of diverse people where there are no barriers. Whether you are a person of faith or one who doubts--or like most of us reside somewhere in-between-- we hope that you will feel at home here. So are we. Let's do it together. of God, respite from our busy lives, and friendship with one another. Have worship and Christian Education that enables people to know, love and serve Jesus Christ. To be a family to which all people, of all ages, are eager to belong because the members are caring and show God’s love. To carry God’s love, caring and message into the community and the world.